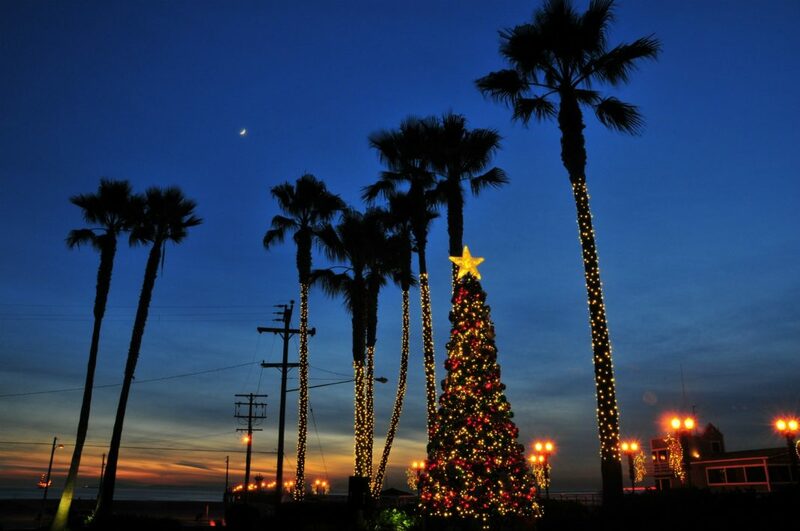 Home Holiday 7 of the Best Places to Buy a Christmas Tree in L.A.
7 of the Best Places to Buy a Christmas Tree in L.A. In L.A. we have to make our own “winter” sometimes, and one way to do that is to buy a chopped-down tree and prop it up in your living room. There are plenty of artificial options on the market that look great and can be used year after year, but if you’re more interested in bringing a living plant straight from the farm to your living room, there’s a lot to consider. Roadside stands selling trees are a dime a dozen, but can you be sure of how sustainably the trees were raised or transported? These seven tree farms, shops, and pop-ups promise trees that, in addition to looking great, have been grown and harvested with integrity, making them our top picks for where to buy a Christmas tree in L.A.
From the family behind popular Halloween pumpkin patch Mr. Bones comes holiday destination Mr. Greentrees, opening November 23. A wide variety of sizes will be available, all firs sourced from family-run tree farms in the Pacific Northwest. Other holiday decor needs are met, too, with an assortment of ornaments, decorations, wreaths, and more. 1030 S. La Cienega Blvd., Carthay. This year-round family farm (founded in 1940!) goes all-out for the holidays. From November 23 to December 16, you can pick up a tree, stop by a holiday market, and shop a produce stand on grown-on-site seasonal veggies. Fans of Hello Kitty and her anthropomorphic buddies won’t want to miss the Sanrio Village Holiday Tour (weekends only, $18). 5380 3/4 University Dr., Irvine. Mr. Jingles operates three locations in L.A. and another three in San Diego, so you know you’re dealing with a major player in the tree business. You can stop by one of the stands to buy your tree, wreaths, or garlands in person and bundle them up the old-fashioned way–or let the delivery and installation pros on staff handle that part for you. You can even order your tree online if you want the easiest (if less ‘grammable) experience possible, and they can handle pickup and recycling, too. 1300 Westwood Blvd., Westwood; 6333 W. 3rd St., Fairfax (both open from November 23); 1841 N. Highland Ave., Hollywood Hills (open from November 22). Shawn’s trucks six different varietals of firs down from Oregon to stock two L.A. pop-up locations starting on November 23. They offer setup and removal services, as well as California fire marshal-licensed flame retardant treatments. 2443 S. Sepulveda Blvd., Palms; 6020 W. Jefferson Blvd., Culver City. Mark and Patricia Rohlfs started their own tree farm in Oregon in 1983 and became one of the founding members of the Coalition of Environmentally Conscious Growers. Every year since, they’ve brought their harvest to sell at a pop-up lot located at Los Angeles Valley College. They open on November 23 this year, selling Noble, Douglas, and Nordman fir trees. 12901 Burbank Blvd., Valley Glen. Christmas Tree Ranch is one of the few farms left in Los Angeles County where you can chop down your own tree. The “U-Cut” options include Monterey Pine, Aleppo Pine, Coast Redwood, Arizona Cypress, and Leyland Cypress. A number of Fir breeds are also stocked as precut trees. A vintage army Jeep ride will take adventurous choppers out in search of the perfect specimen. The ranch opens on November 23; a second Christmas Ranch location in Simi Valley will not be operating in 2018. 1586 Pederson Rd., Thousand Oaks.